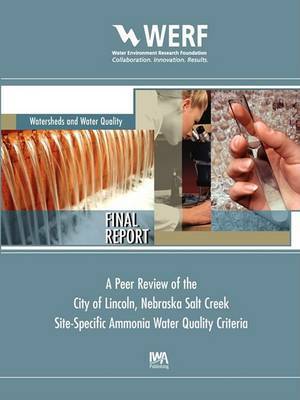 This report is the summary of a portion of a larger-scale project titled Salt Creek Water Quality Studies (SCWQS) performed by the City of Lincoln, Nebraska, for an approximate seven year period from 1994 through 2000, to address proposed ammonia effluent limits for the City's two wastewater treatment plants (WWTPs). The project focused on characterizing Salt Creek by quantifying the existing biological community, evaluating existing water quality, physical and hydrologic conditions, and evaluating the impact of ammonia discharges from the WWTPs to the biological community compared to other stressors. The portion of the project that is the primary focus of this report is the in situ toxicity study performed in Salt Creek that modeled typical laboratory tests that introduce a species of fish to known levels of ammonia to determine a dose-response relationship. The in situ toxicity study results would be the basis for developing a site-specific chronic ammonia water quality criterion for Segment LP2-20000 of Salt Creek. The Water Environment Research Foundation (WERF) provided peer review for this project, which resulted in credible research results that were used to develop alternative ammonia discharge limits for the City's WWTPs. Substantial support was also provided by the Nebraska Department of Environmental Quality and the Region VII Environmental Protection Agency.